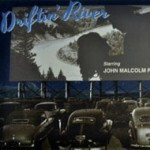 John Malcolm Penn follows his previous Blue Night Records release (Hangtown Fry) with yet another gem, Driftin’ River. Once more this California-based songwriter has put together a collection of original tunes that cements his reputation as a serious storyteller. On this musical outing, we get a further glimpse into the folksy and homespun world of Mr. Penn. He played all the instruments, sang all the vocal parts, and wrote all the songs. These real-life stories and tributes, with musical notes attached, are not only entertaining, but thought-provoking as well. Driftin’ Riveralso contains several instrumentals that are a real plus, and serve to keep the mood rolling. So we invite you to drift along with this exciting new release from Blue Night Records, as John Malcolm Penn takes you on another journey of the heart.